With the fall semester soon upon us, incoming college freshmen, as well as their parents, may be wondering whether the student should consider joining a fraternity. Is Greek life for me? What are the advantages? Are there drawbacks? There are pluses, there are minuses. There are gray areas. Times have changed. 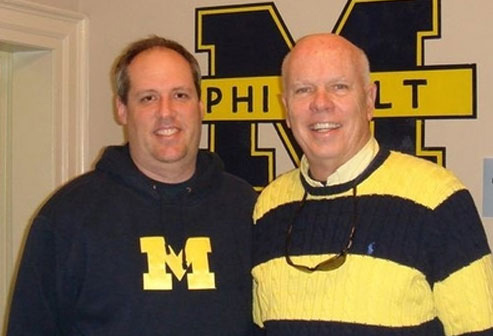 One of the life-long benefits of Greek life is the connections made, not just with current chapter members, but with the network of former fraternity members in the business world. A fraternity is not a four-year college experience, it's a lifetime involvement. True, in this day and age, there are myriad other ways to build your network. Social networking, of course, but universities offer many other opportunities to meet people in small group settings whether it's joining the newspaper or a dance company or an intramural sports group. On the subject of housing, living in a fraternity is generally less expensive than living in a residence hall. Most websites of Greek affairs offices are very straightforward on pricing and financial expectations. Fraternity experience also exposes a student to more real-life situations — the house must be maintained and staffed, etc. It’s necessary for homework to be done to compare apples to apples. Fraternities are generally charitable. Through fundraisers, fraternities often raise money for national and local charities. According to the North-American Interfraternity Conference, the groups raise over $20 million for charity annually. Additionally, fraternities generally have higher grade-point averages than the rest of the student body. They also have higher freshman and sophomore retention rates and more service hours. One way to check an organization's commitment to studies is to look at the university’s website and find the records of their grades. Financial and time commitments can be substantial. Greek life involves many social engagements that need to be balanced with the class workload. There are dues, functions, events, and hidden costs can be incurred for families who might not be familiar with the process. It’s important to get all the costs spelled out. For the time commitment, having freshmen take a smaller class load in their first semester might be a wise decision. There are many fraternity-related commitments that can interfere with studies. There’s always concern about the possibility of hazing. But, there isn't a national organization or local group that doesn't have a zero tolerance policy when it comes to hazing. National leaders, local chapters and individual members are doing everything they can to eliminate all aspects of hazing. When it comes to party time, Animal House" might have been exaggerated, but there are nuggets of truth. A 2002 study by the Higher Education Center for Alcohol and Other Drug Prevention found that fraternities and sororities were among the groups that fostered a culture of drinking on college campuses. Parties definitely occur and it’s left to the individual student to decide their own level of involvement in that atmosphere. So, be informed and gain knowledge in the process. Enter into recruitment experience with some good questions: Will I be valued? Will my personal experiences contribute to the overall success of this group? Will this complement my academic goals? Will I have an opportunity to practice my leadership? Will I have fun?